The Samsung Galaxy Note 7 has been discontinued following numerous reports of units catching fire or exploding. In the interest of safety, users who still have a Note 7 in their possession must return the unit to Samsung. 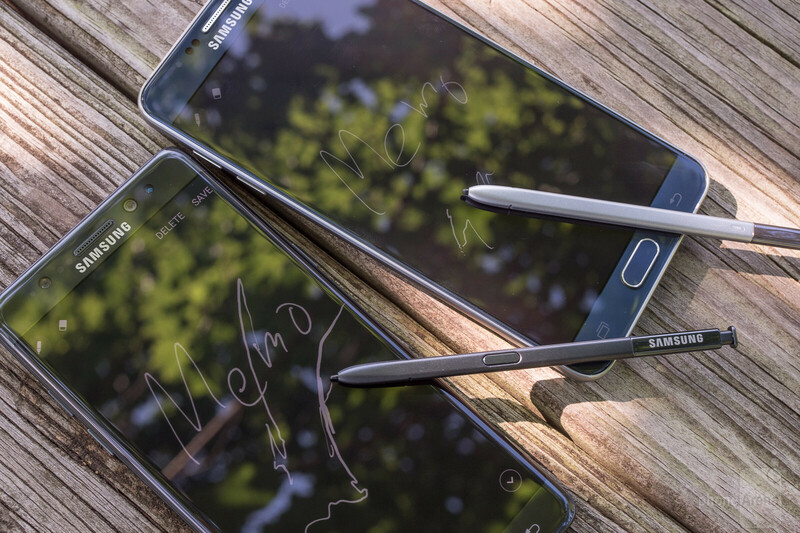 Samsung's Galaxy Note phablet is growing up this year. It's got a new curved-edge screen, new higher-precision (to say nothing of waterproof) S Pen, and even a new name, joining the earlier Galaxy S flagships as part of Samsung's club-7. 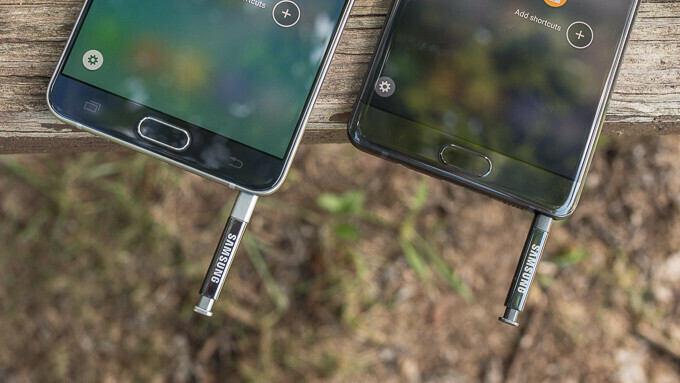 As the latest handset in an iconic series, the new Note 7 has a lot to measure up to, and the phone's success is going to be measured as much on what it offers itself as what it can do to directly improve upon last year's Note 5. And while the Galaxy Note 5 saw its share of critical acclaim, it wasn't a phone that arrived without making a few missteps, abandoning expected features found on earlier Note phones. Now the Note 7's here to correct some of those oversights, while attempting to introduce new features of its own. It's impossible to talk about the design of the Note 7 without focusing on its display. 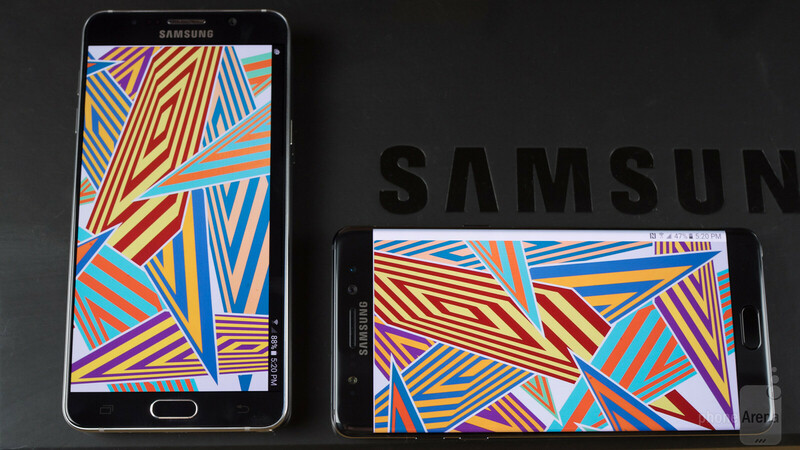 We'll hit up some of the more technical aspects of the screen in a minute, but your main takeaway should be that curved is the new flat; with the Galaxy Note 7, there's no Note Edge, nor even a no-stylus S7 edge+ phablet: now the dual-curved edge screen of phones like the Galaxy S7 edge defines the look of the Note 7. That's a bold move by Samsung, threatening to turn off users who prefer a more traditional flat screen, but luckily the manufacturer does a good job at selling this new look. 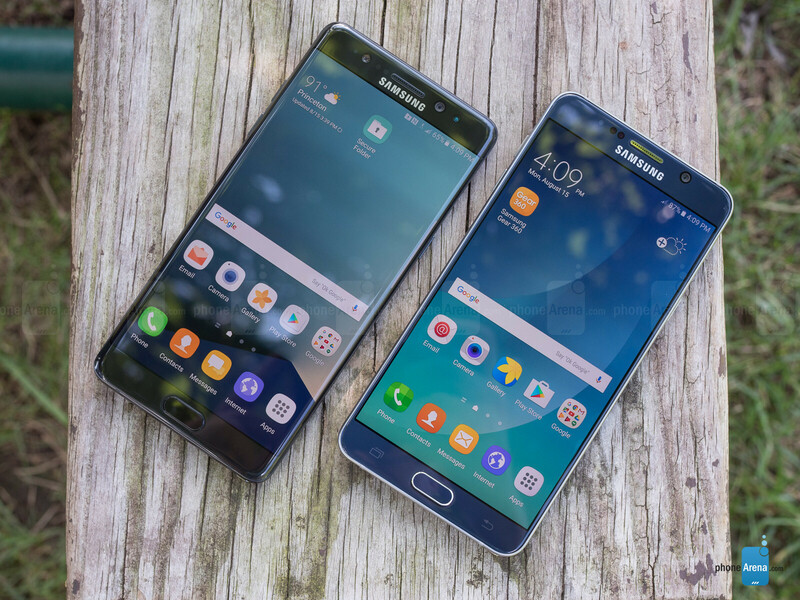 For one, the move to curved edges helps really make the Note 7's screen dominate the handset's face, giving us a phone that keeps the same screen size of the Note 5 while narrowing width down a smidge. That helps produce a phone that feels really nice to hold. Elsewhere, the Note 7's design is one of refinement. Components like a smaller camera bump help sell the image of a sleek, polished handset, and subtle changes like the lowering of volume and power buttons help enhance usability, promoting one-handed operation. Next to the Note 7, the Note 5 tends to look a bit old and tired now. The Note 7's curved-edge screen can take some getting used to, especially if this is your first foray into Samsung's edge world, but if you come around to the new shape of the panel, there's a really well-equipped screen waiting for you. Samsung's not touching size and resolution, keeping the same 5.7-inch QHD 1440 x 2560 figures we're familiar with from the Note 5. And our screen tests reveal the Note 7 offering comparable brightness levels to last year's phone. One real improvement is new support for HDR video, letting users enjoy media with enhanced contrast and visual range. Right now it can be a little confusing about exactly where you can find HDR-ready video to view on the Note 7, and mobile HDR standards are still being ironed out. But if you're a user of Netflix or another service ready to hook you up with HDR-10 steaming right now, you can immediately see the difference – and while it may not be a game-changer, it's certainly nice to have. The brightness in NITS is wrong. The S7 gets over 800 NIT when set to auto which is the factory setting and the Note 7 is said to get over 1000 NITS when set to auto, which is also its factory setting. So why are you showing roughly 50% of the actual number? That is misleading information. Don't expect much from PA. They can't even put a proper sentence together. After owning the Note 4 and then the Note 5, this will certainly be a Note device worth avoiding. S7 Edge camera is ridiculous in its often oversaturated colors and incorrect white balance, forcing me to edit most of the photos to correct the colors. Note 4 camera was far better in this regard. Hopefully the Note 8 or whatever they'll choose to call it will correct the camera and battery life. Doubtful though. If there was a skippable note, then it was the Note 5, Instead of adding features to the note 4 formula they removed stuff and battery life from the phone for the sake of the design and besides the mandatory upgraded specs, they didn't added new features at all, what a waste, for me the note 7 is the proper successor to the Note 4 that the note 5 failed to be. However if you already have an S7 edge there's no point in getting the new Note, Just as some people really wanted the note and skipped the galaxy S phones. There's not point in owning both phones, they don't become outdated that fast. It seems most comments are in agreement. The new Note just isn't worth it. As a Samsung Galaxy fan, I'm disappointed. The features I like on this phone are already available on the S7 series. I already own an S7. I don't like the Edge. I prefer not to be accidentally pushing buttons when I'm simply trying to hold my phone.. so until there's a flat version, I won't ever be getting the Note. Although HDR may be attractive to some, I don't watch movies on my phones, nor any videos worthy of needing HDR. The battery is also a huge disappointment for me. As I've said before, if the "S Active series" ever becomes available across all service providers, it'll be my choice. 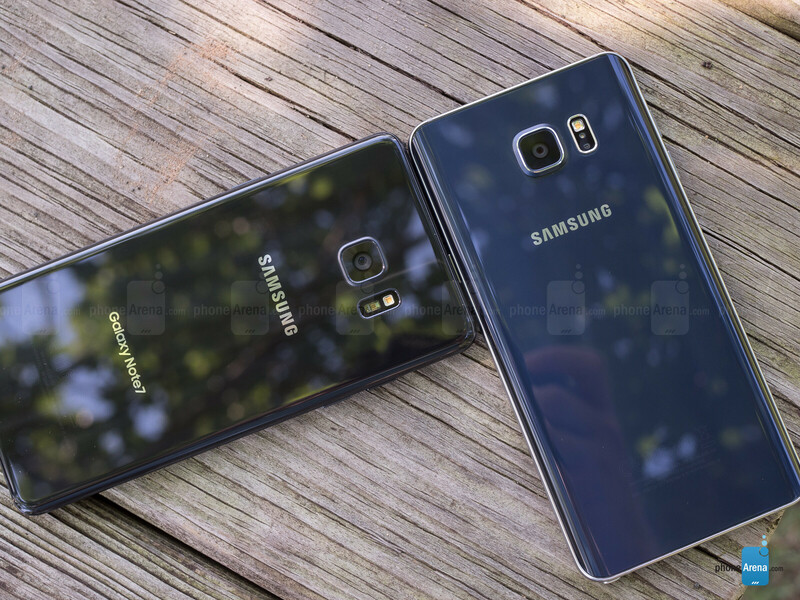 And the minute Samsung pulls a stunt like they did with the S6, I will simply choose a different brand. I was spending some time with the Note 7 at a store. Display looked great until I started watching previews of movies on the Play store. OMG it's horrible. The picture was stretched like a rubber band. I tried multiple previews. Something isn't right. Anyone else notice that? Biggest issue I found with the Note 5 was how it started lagging after a few months. Not just in apps but even sending messages. It would take 2 minutes to send a simple text message. I would reboot and reboot and it wouldn't change. With the note 7 I am not having those issues. I constantly cleaned my caches and rebooted and it made no difference.